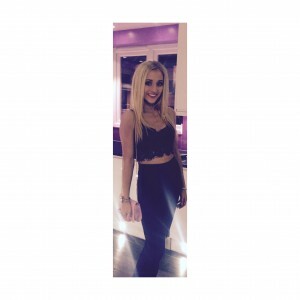 Robynne Louise x – Page 16 – FASHION. BEAUTY. TRAVEL. LIFESTYLE. 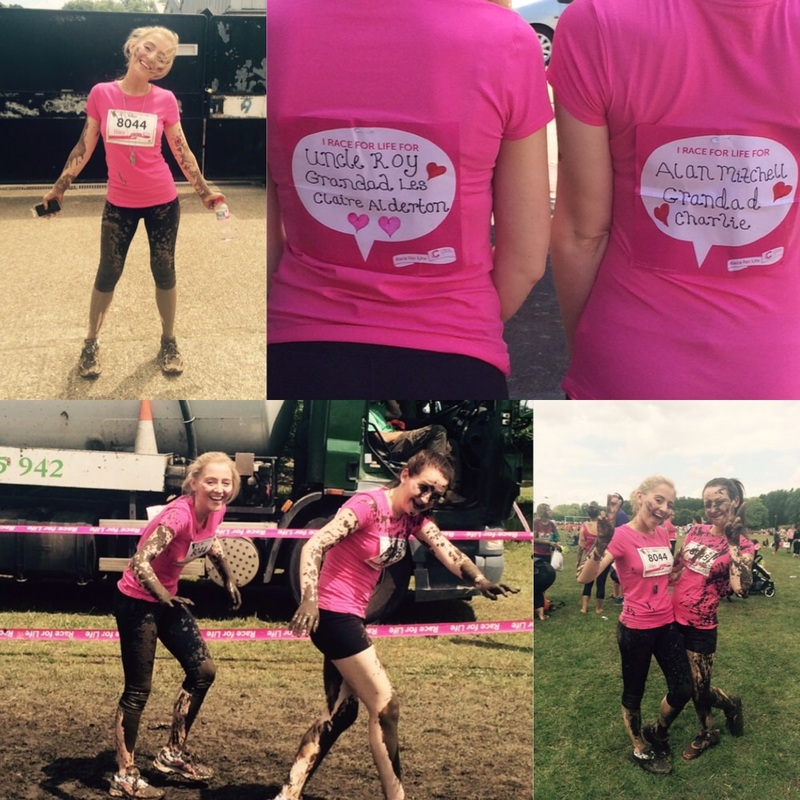 At the end of June, my sister & I took part in the Race for Life – pretty muddy 5k. 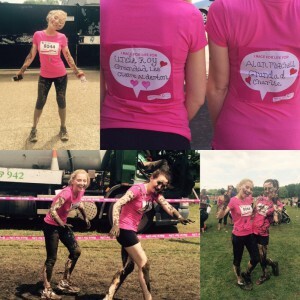 I am pleased to say, we raised £740 for Cancer Research – which we are over the moon with!! I was so overwhelmed with the support my sister & I received from all of our friends and family. We completed the run in 42 minutes. It was very challenging and with neither of us being runners, that didn’t help either! But when we crossed the finish line it felt like the world had stopped, I couldn’t believe it. It was such an amazing feeling, especially knowing we had just ran 5k for Cancer Research! 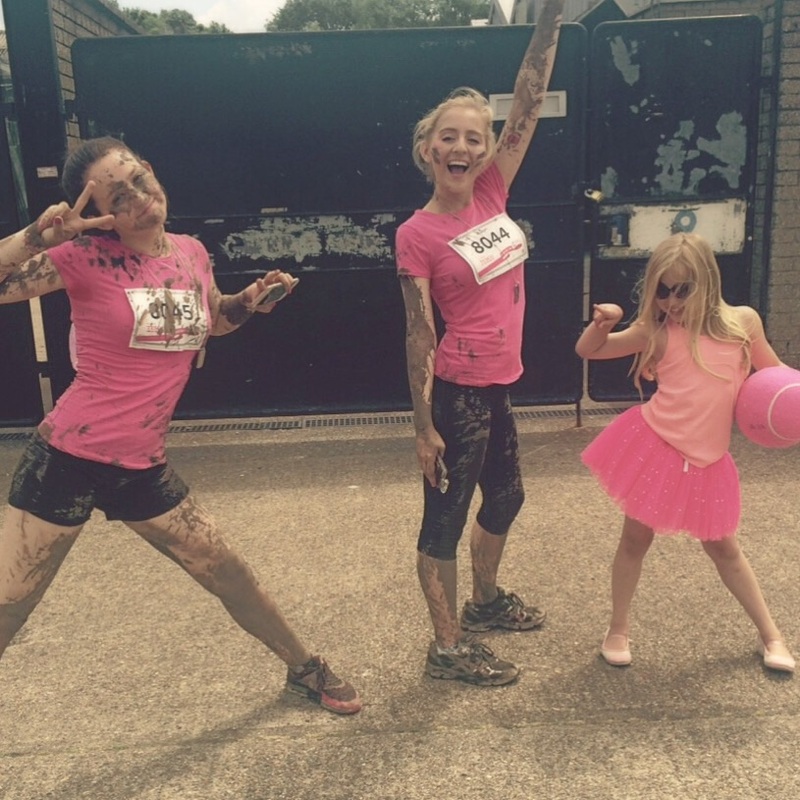 You can probably tell from the race title “pretty muddy” that somehow the run included mud.. And in fact, quite a lot of it too!! But this made it really fun. One of the best parts about it was doing it with my best friend/little sister, achieving this together and being able to share this experience together. I would love to do it again next year but I would also like to do the moon walk which is a 26 mile walk in London that you walk during the night! 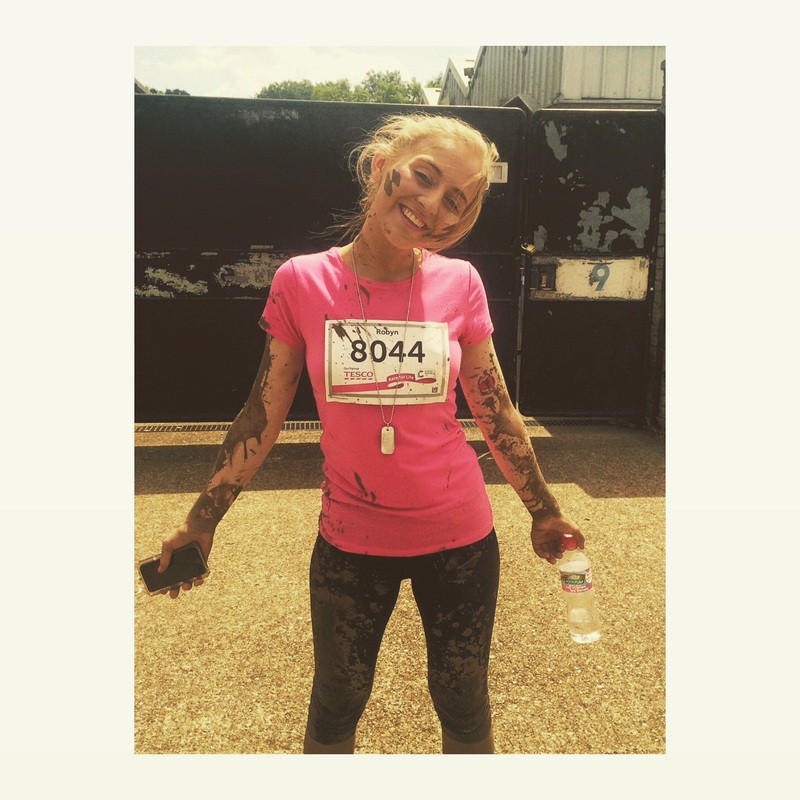 If you have ever considered joining the Pink Army, I would so recommend it, it’s one of the best feelings saying “I completed the Race for Life” and knowing you have done what you can to help beat cancer!! KOCOSTAR & DANIELLE CREATIONS… A BAG OF GOODIES! On the 1st June, I went to the O2 arena in London to see Ariana Grande on her Honeymoon Tour. I can’t even put into words how flawless she was, her looks AND her voice!! Performing her back to back albums “Yours Truly” and “My Everything“, it’s safe to say Ariana “slayed”!! I am a huge lover of Ariana anyway so I guess I would be a little biased but oh my gosh, it was a fab night and one to remember. The sets, outfits, dancing and everything was just insane. I am heading to Wembley tomorrow and I will be seeing her again for the second time in one week!! She is performing at the Summer Time ball, my sister is the biggest Ari fan I have ever met so how could we miss it?! If you haven’t already checked Ariana out, well it goes without saying, you so should have!!! This photo is not the best quality but it is one I took on Monday night!! Eeek, Festival and Summer Season is finally here!! 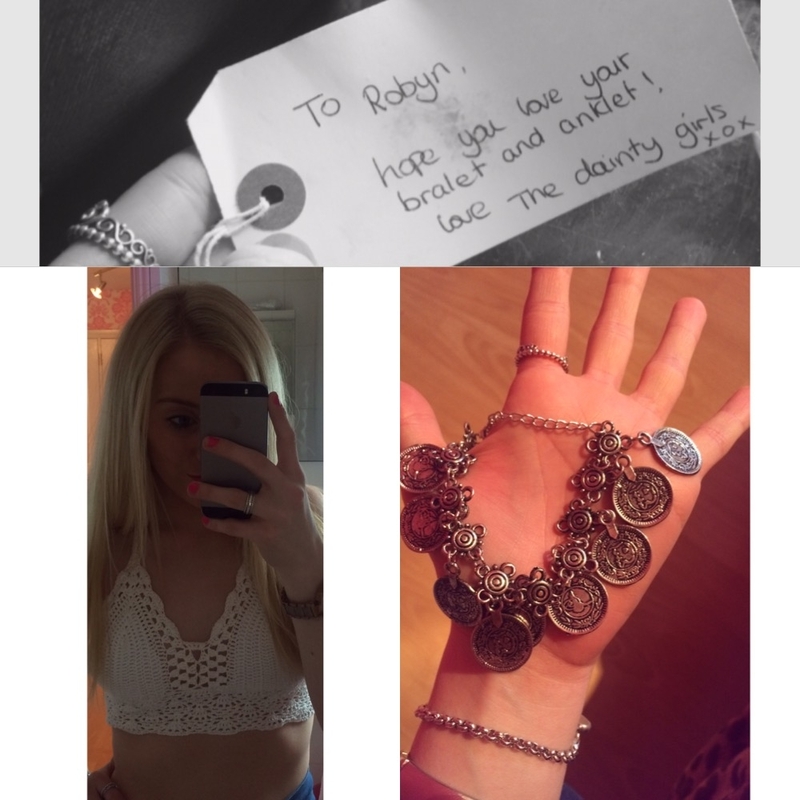 I recently received a beautiful “Luna” handmade bralet which is perfect for this time of year, and not forgetting my gorgeous coin anklet. I have been a lover of Dainty Clothing for quite a while now and it’s safe to say, they have some amazing bits and pieces. Unfortunately, due to the clothes being handmade, orders do take roughly 1-3 weeks, so now is the best time to get your orders in before any festivals or holidays you have booked up. You can find them on Instagram @DAINTYCLOTHINGCO and can place any orders via email!! Also, be sure to keep your eyes peeled for any sales they may have!!! There’s absolutely nothing worse than fake tanning and looking more orange than brown! I like a subtle and natural looking tan, it annoys the hell out of me when it goes streaky or patchy!!! I love being brown but unfortunately I’m not one to tan whilst on my holidays!! I’m very fair so I have to be extremely careful. In the past 5 or so years, I have tried ridiculous amounts of fake tan and I have finally found my favourite which is Fake Bake, I use the foam tan rather than the liquid tan. For me, it goes on a lot easier and it’s easier to find any streaks. I also prefer an instant tan, but as you probably know a lot of these wash off as soon as your have a shower. So if I’m going to use a gradual tan, I will use Dove – but I always notice a number of streaks the following day where I can’t see exactly where I’m applying it. However, if I am having a spray tan, I love Lauren’s Way! I’m not one for having sun beds as they are really dangerous and can really damage your skin. 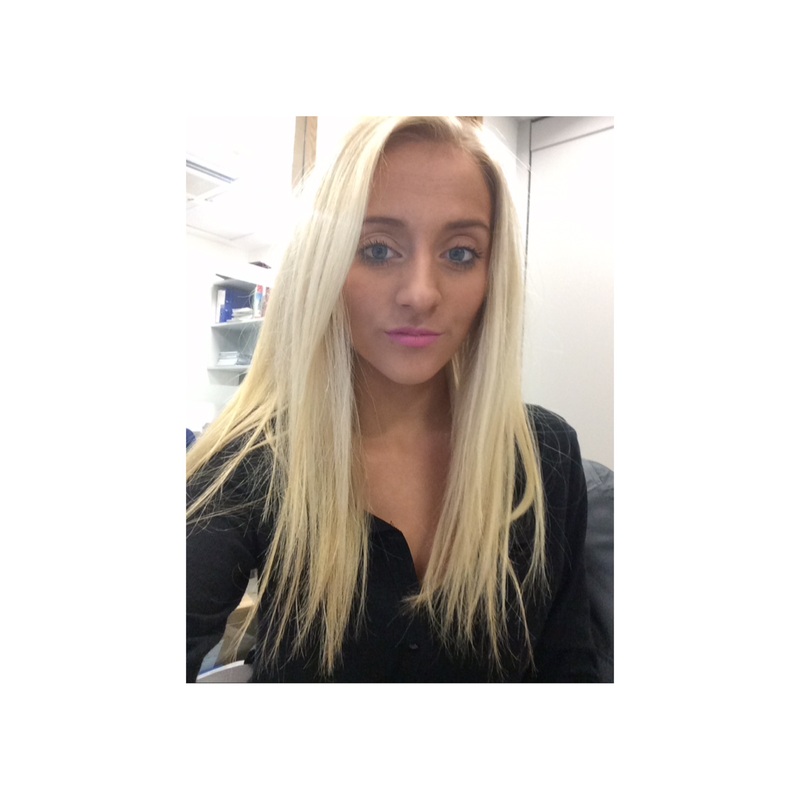 But thankfully one of my lovely friends Jordan, has done a spray tan course and is now qualified. She uses Lauren’s Way and it always comes out exactly how I like it – just a natural glow which is perfect. Obviously, if you haven’t had a spray tan before you go to bed extremely dark but once you shower the following morning, it is amazing. When you find out someone you know is going to be on “The Voice UK”, well it’s pretty exciting. 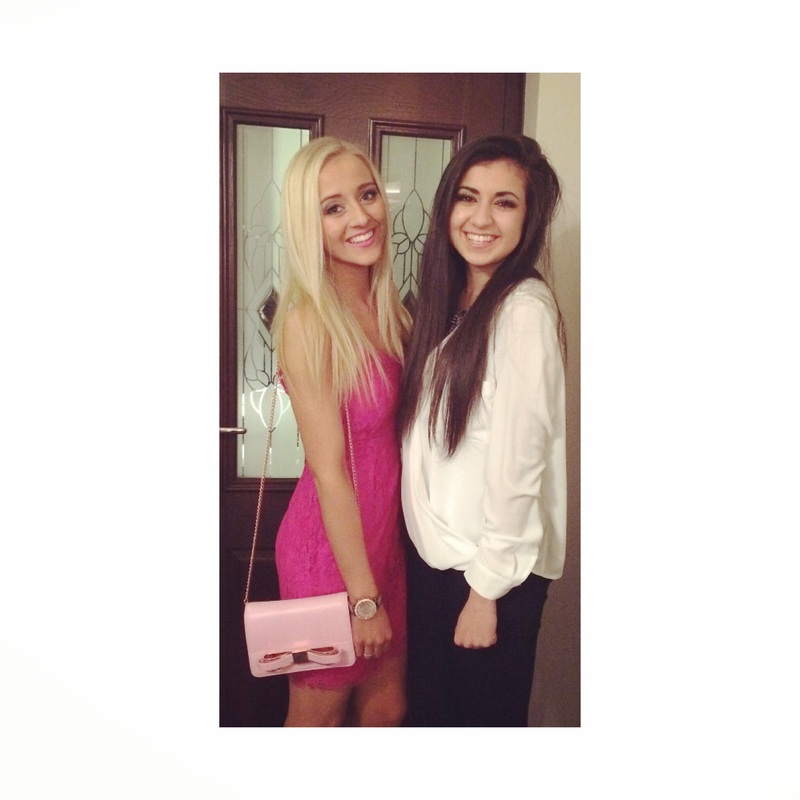 But, when it’s one of your friends, someone that was in your class at school.. it just seems so surreal. When I found out Brooklyn was on The Voice, I was so thrilled and so excited for her, as this is always what she’s been good at and what she has always wanted to do. This is a huge opportunity which I know she will make the most of! Since I have known Brooklyn, I have always said out of everyone I know, this girl will be the one to make it. I can honestly say, Brooklyn is so down to earth and so genuine and absolutely everyone loves her!! But that’s not all, to top it off, she is an amazing performer and singer. AND check out her youtube channel, I can assure you.. you will be blown away! So this Saturday is the knockout stages in the competition. I am so excited to see what she has in store next and I obviously, will be backing Brooklyn all the way! Please help us to get behind her!! Robynne Louise wearing Dressed In Lucy!